Beethoven’s great “Pastoral” Symphony No. 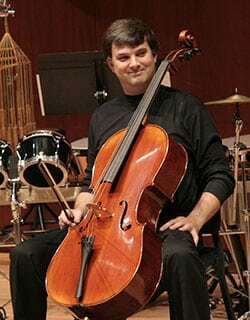 6 opens this masterworks concert, and cellist Andres Diaz returnsto play the great Schumann Cello Concerto. Featured in between is a world premiere by American composer Alyssa Morris. Globe) and was awarded the prestigious Avery Fisher Career Grant as well as a generous grant from the Susan W. Rose Fund for Music in 1998. Andres Diaz’s numerous orchestral appearances have included return engagements with the Atlanta Symphony under the late conductor Robert Shaw; performances with the American Symphony at Carnegie Hall, the symphony orchestras of Milwaukee, Seattle, Rochester under Christopher Seaman, the Boston Pops and Esplanade Orchestras, the Chicago Symphony at the Ravinia Festival with Edo de Waart conducting, and the National Symphony Orchestra. Among the highlights of Mr. Diaz’s recent seasons are tours of Taiwan, Hong Kong, Korea, Japan, Hawaii, and Canada performing in recital and with orchestra; appearances in Chile, Venezuela, Argentina, the Dominican Republic; a series of concerts in the Soviet Union where he performed as soloist with Russia’s Saratov Symphony in the cities of Saratov and Moscow; and a tour of the major cities in New Zealand with the New Zealand Chamber Orchestra.